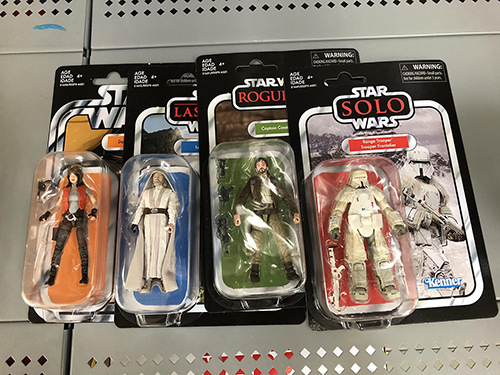 Rebelscum.com: Hasbro: The Vintage Collection Wave 3 Found! Hasbro: The Vintage Collection Wave 3 Found! The third wave of action figures in Hasbro's The Vintage Collection collection is hitting stores in the U.S. now! 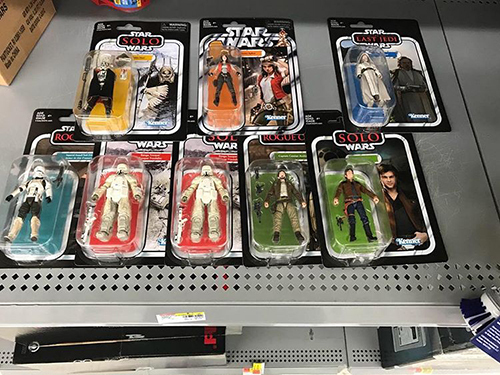 The assortment includes the debut of the super articulated Range Trooper, the first mass release of Doctor Aphra, and the rerelease of the Luke Skywalker (Jedi Master), Elite Praetorian Guard, and Captain Cassian Andor figures previously available in The Black Series collection sold only at Walmart. September 1, 2018 Hasbro: The Vintage Collection Wave 2 Showing Up At EB Games In Canada! August 1, 2018 Hasbro: Latest The Vintage Collection Assortment Pre-Orders Available At Entertainment Earth! July 19, 2018 Hasbro: The Vintage Collection Imperial Combat Assault Tank Found Toys "R" Us Canada!